Vertebral subluxation refers to a set of signs and symptoms that affect the spinal column. Specifically, it is a complex that occurs when the bones of the spine lose their usual position and motion due to chemical imbalances, alcohol, prolonged sitting, trauma or even stress. An automobile accident and improper lifting are just two types of trauma that can cause vertebral subluxation complex, or VSC. How Does Vertebral Subluxation Complex Affect the Body? The term “complex” is associated with vertebral subluxation because, as the word suggests, the condition is multifaceted and consists of many elements. This is because VSC is the underlying cause of health care problems. When one or more vertebrae are misplaced or fail to carry out their intended motion, they can disrupt the function of the nervous system. The vertebral bones are designed to contain and guard this system, so interference can lead to pressure on the spinal cord or the nerve roots as they pass out of the spinal column. When VSC presents, a number of things can happen to affect the spine, its related soft tissues, and even the tissues and organs controlled by the affected nerves. Spinal kinesiopathology. This component sounds much like vertebral subluxation itself. Here, the bones of the spine have lost their natural motion and position, making it difficult for the patient to turn and bend. It sets the other four components in motion. Myopathology. When the muscles sustaining the spine weaken, atrophy or become stiff, they can go into spasm. This can result in scar tissue that changes the muscle tone. Neuropathophysiology. If the spine functions improperly, it can obstruct, stretch or agitate nerve tissue. Nerve tissue is delicate. Irritation in these ways can cause nerve system dysfunction and lead to aggravating symptoms elsewhere in the body. Histopathology. A patient’s body temperature can rise due to an increase in blood and lymph supplies. This, in turn, can lead to inflammation and swelling, which can then cause discs to protrude, tear, herniate or deteriorate. Pathophysiology. This is when abnormal bony growths like bone spurs try to meld faulty spinal joints, leading to decay of the spine, scar tissue and nerve dysfunction. The articles within this section discuss each of the five components further. Your chiropractor will not only detect and minimize VSC, but, once the spinal bones are back in their normal position and have regained their natural function, he or she will try to prevent the problem from recurring. 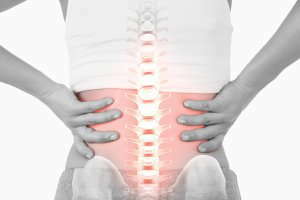 Chiropractic treatments, particularly spinal adjustments, can be used to treat VSC and ward off its associated symptoms. To find out how chiropractic treatments can be designed to address your particular VSC-related condition, contact your practitioner.